Obituary for Barbara Lorraine MacKenzie | Arehart-Echols Funeral Home, P.A. Barbara Lorraine MacKenzie, 92, formerly of LaPlata MD passed away peacefully in her sleep on March 10, 2019 in Southport, NC. Born in Washington, DC January 1, 1927 to the late Elmer Leroy Compton and Anna Mae Lambert, she is also preceded in death by her loving husband, Gerald L. MacKenzie. Barbara grew up in Washington, DC. She sang at the 400 Club where she met the love of her life, Gerald, a marine stationed at Quantico, VA. Gerald was transferred to California and Barbara jumped on a train to meet him and get married. Married for 73 years until the time of Gerald’s passing in 2017, they enjoyed a wonderful life, adopting three children, Terry, Kirk and Scott, who they raised as their own. 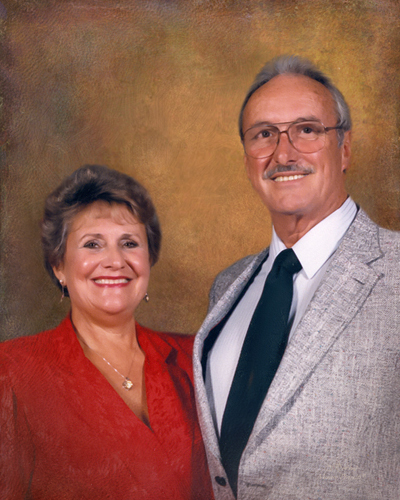 Barbara and Gerald enjoyed the Salt Life, the Bahamas and Europe were their favorite destinations. Barbara’s life revolved around her family, she would say good morning and good night to Gerald’s picture each day and is now joined with him in eternal peace. A Memorial Service will be held at 10:15AM on Thursday, April 4, 2019 at the MD Veteran’s Cemetery (11301 Crain Hwy., Cheltenham, MD). Online condolences to the family can be shared at arehartechols.com.